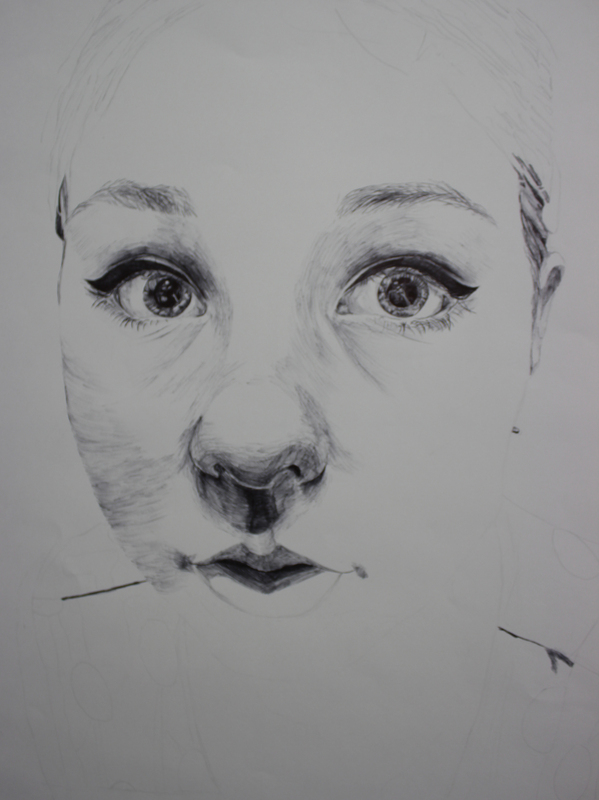 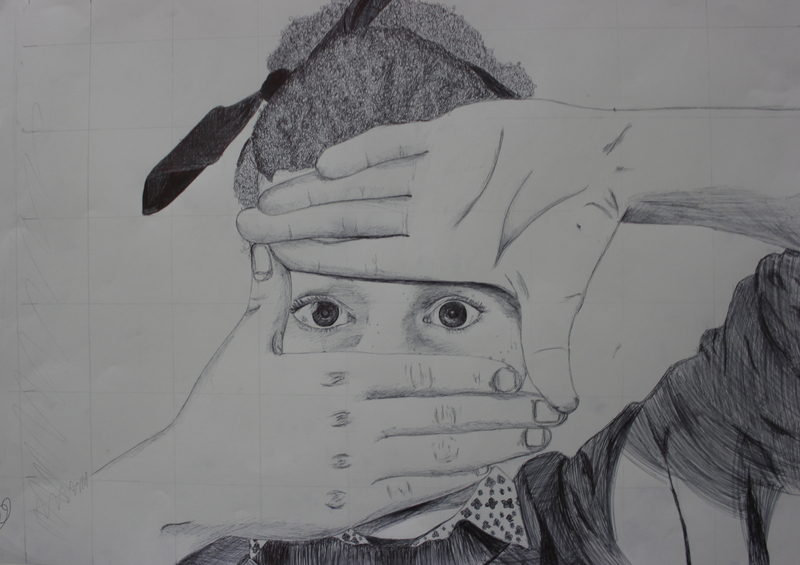 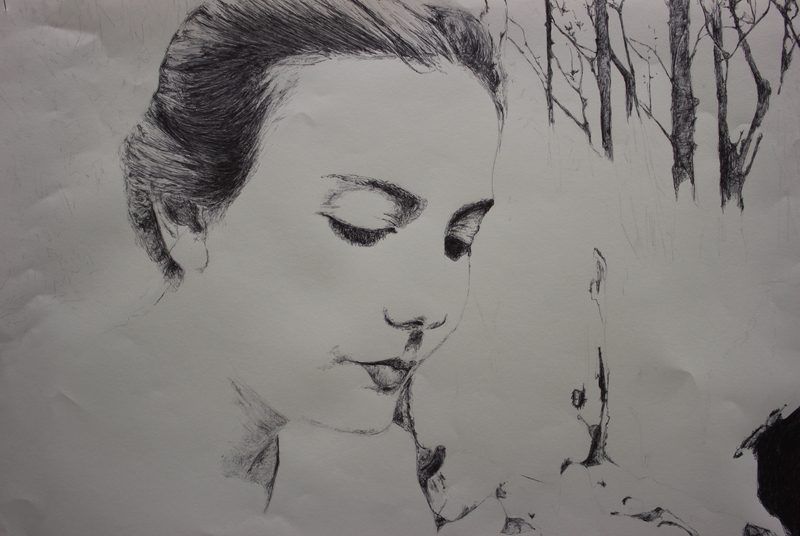 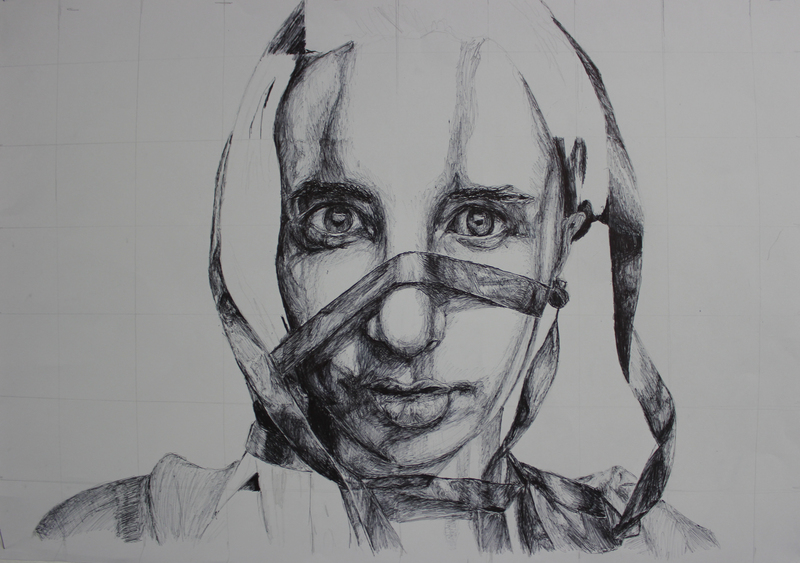 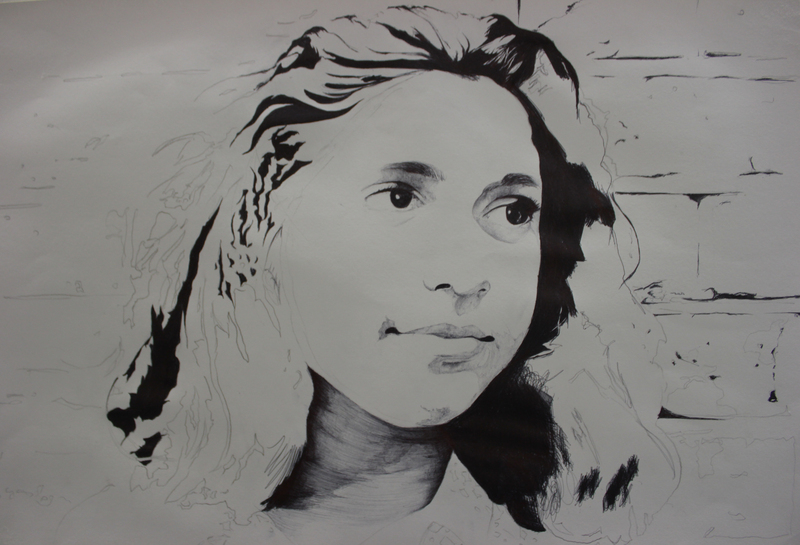 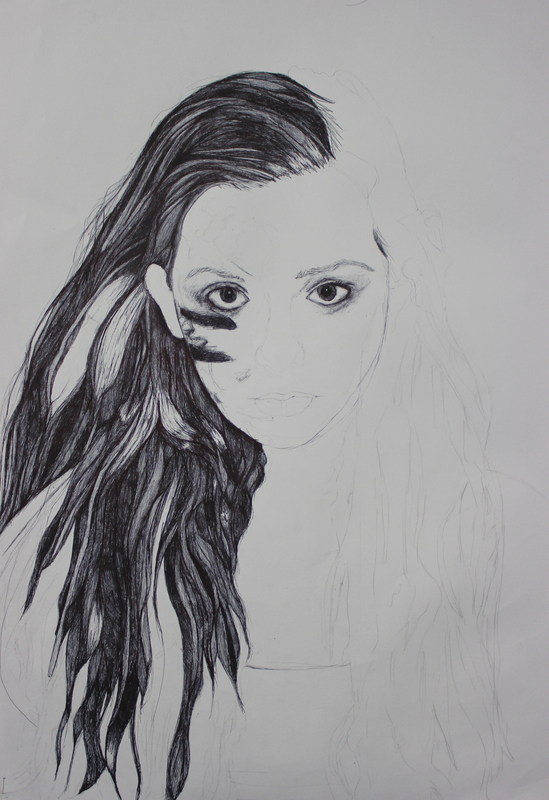 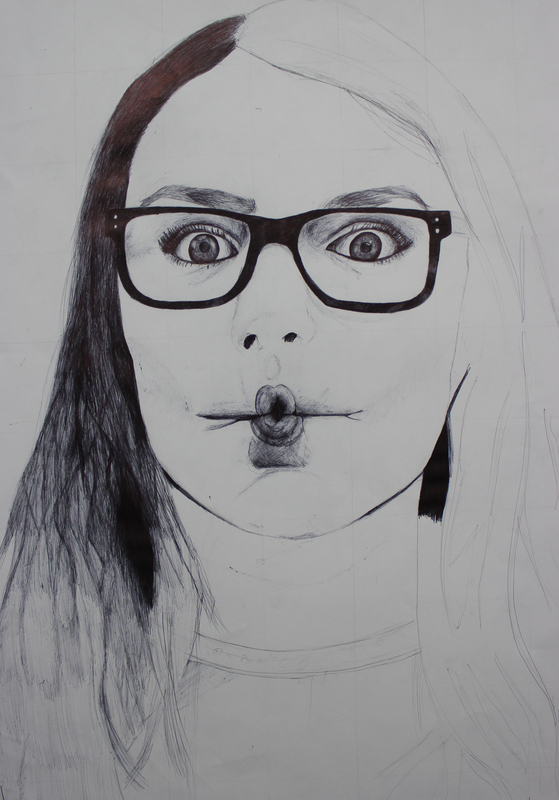 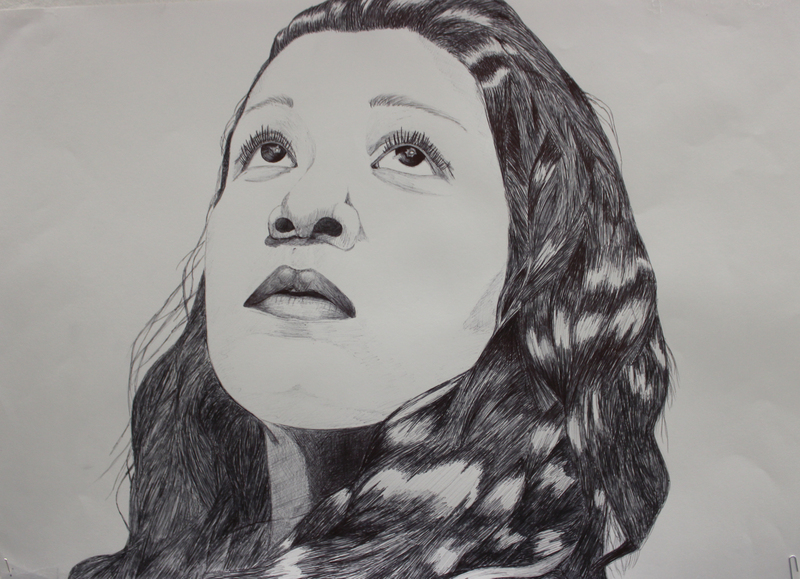 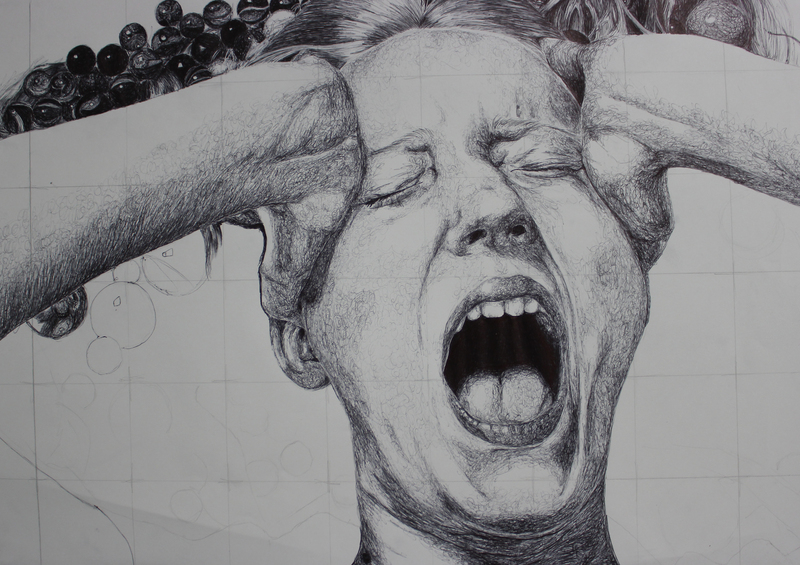 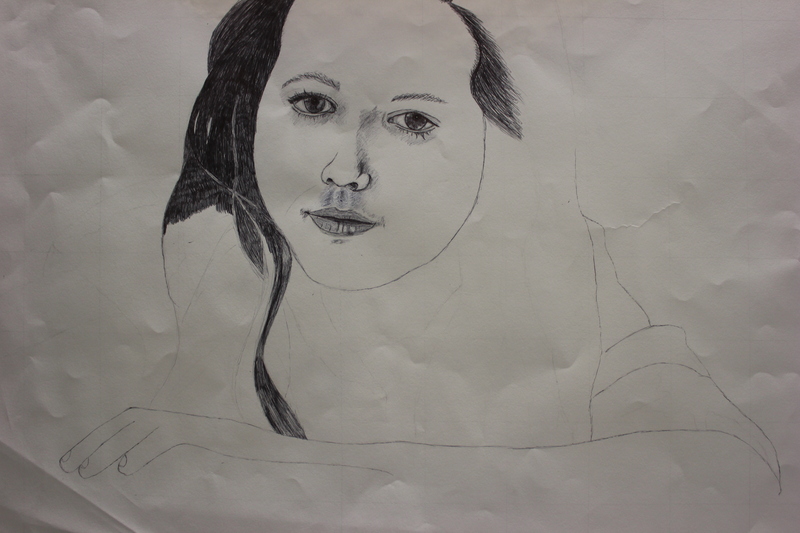 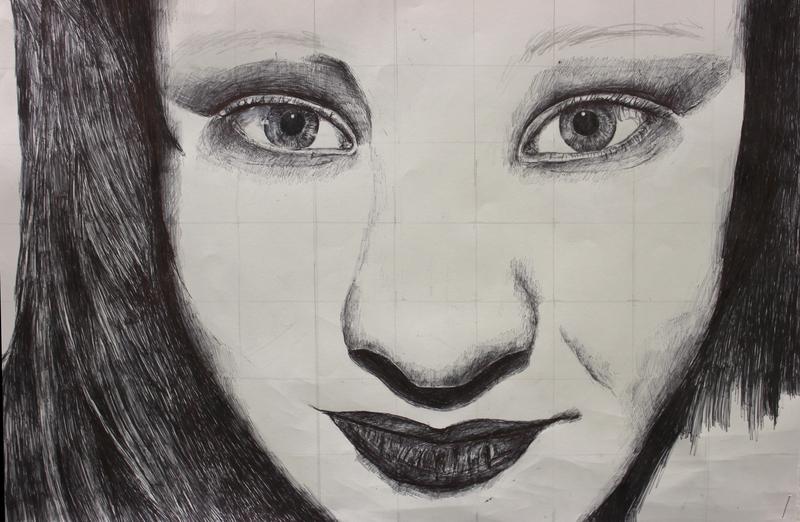 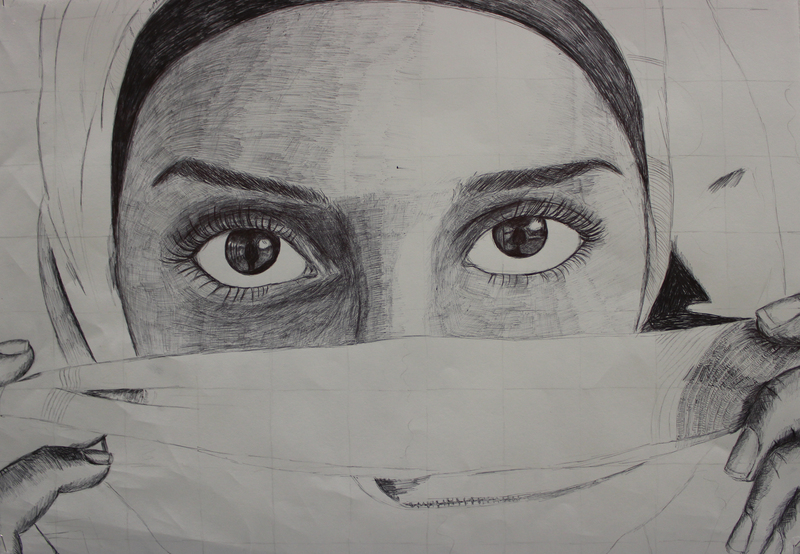 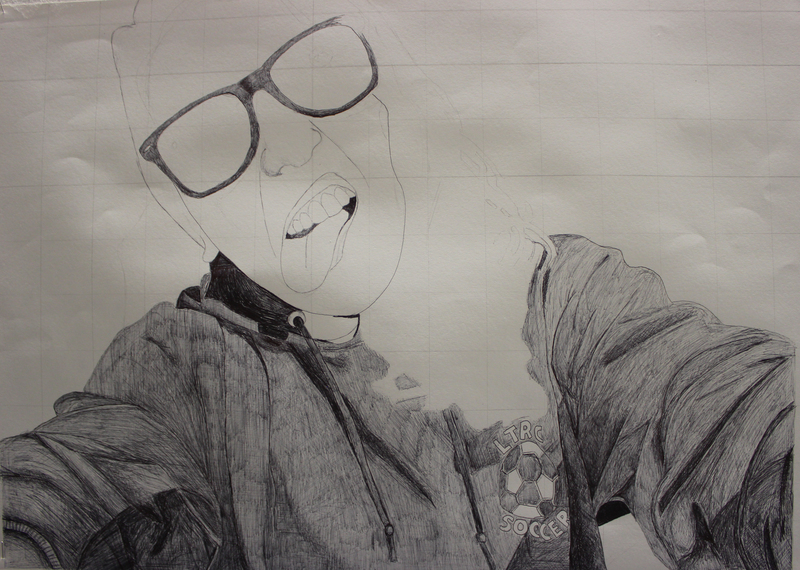 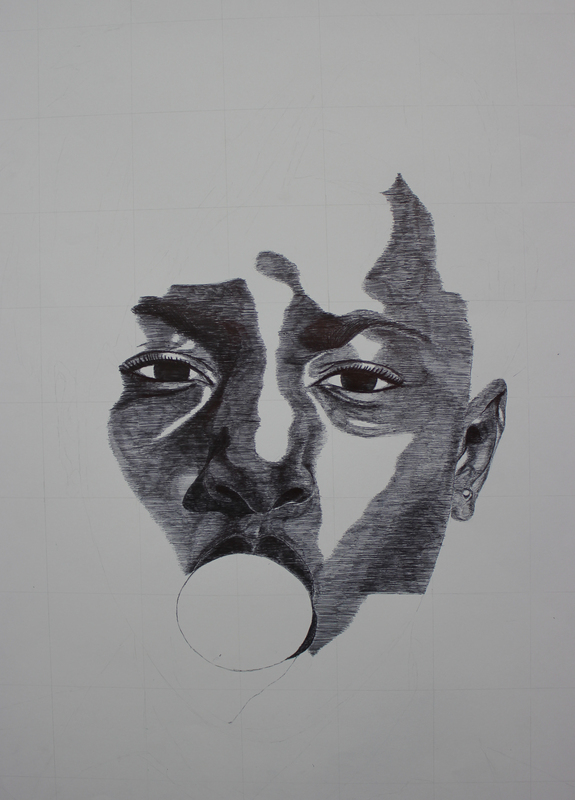 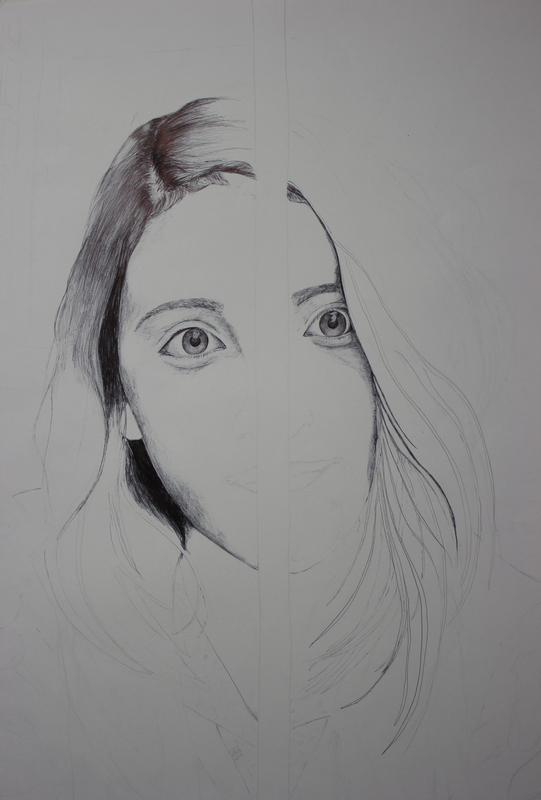 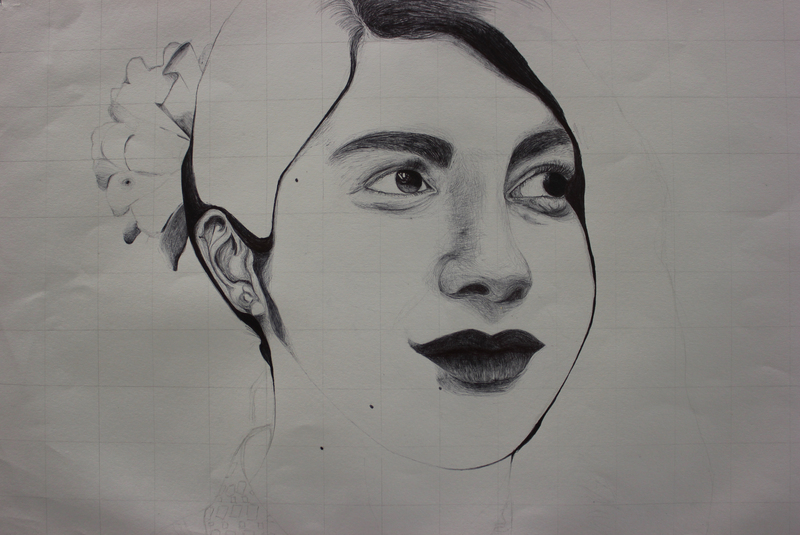 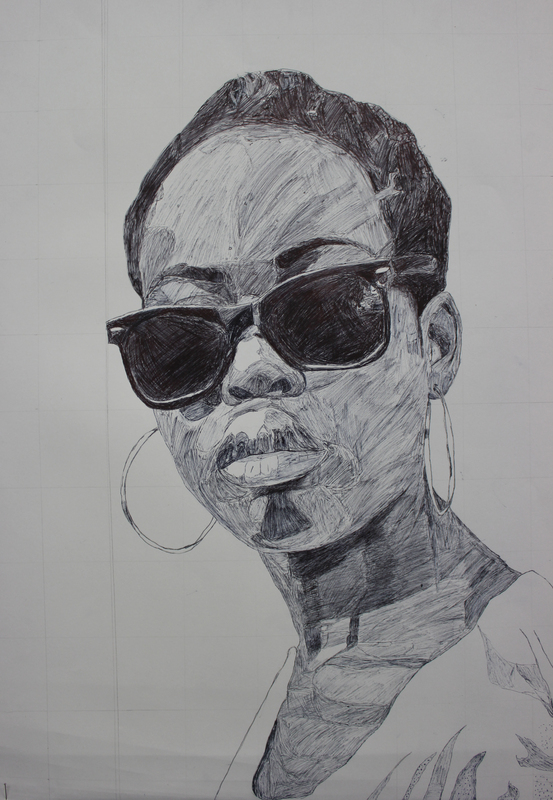 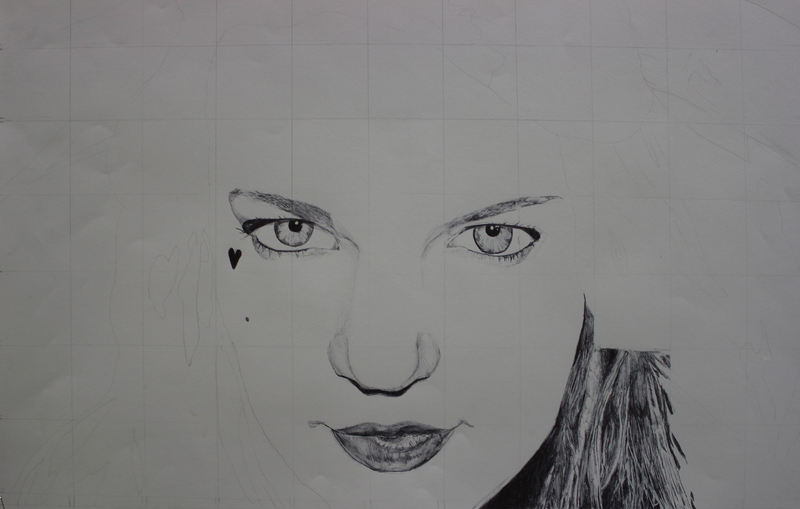 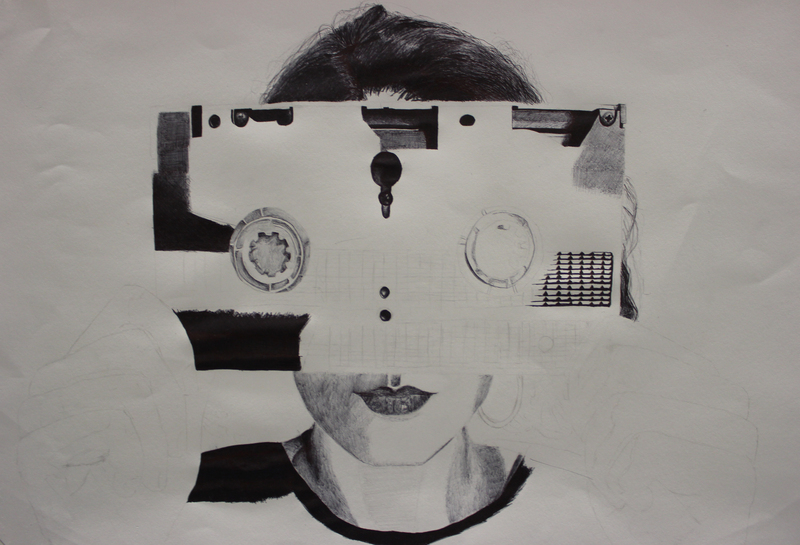 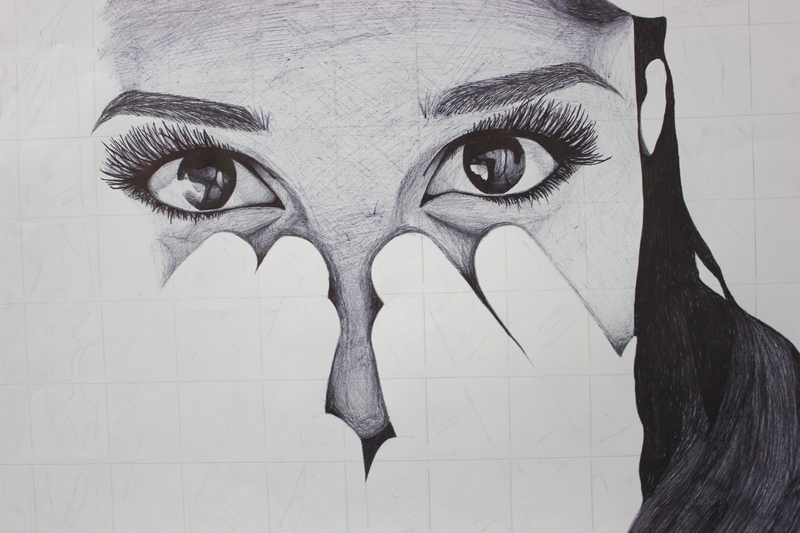 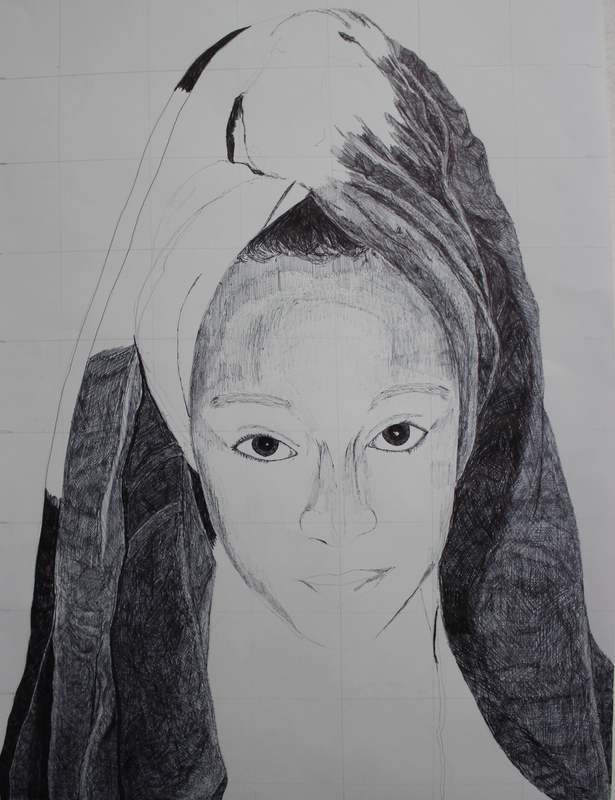 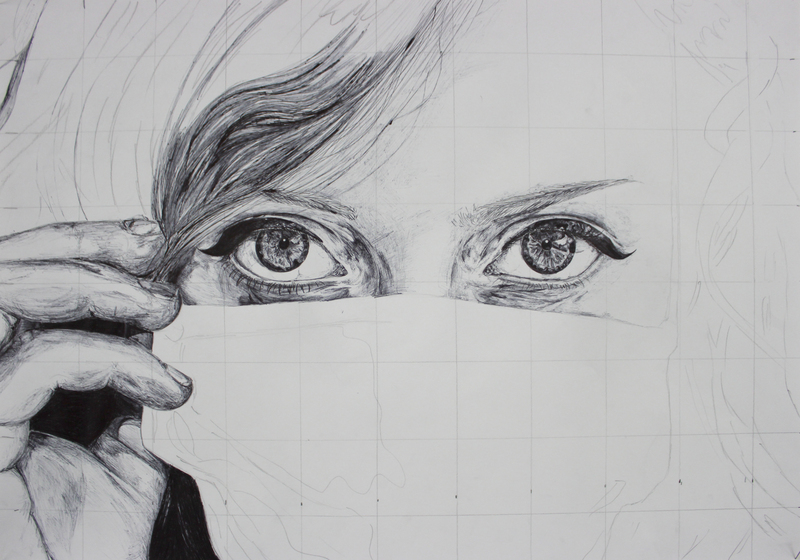 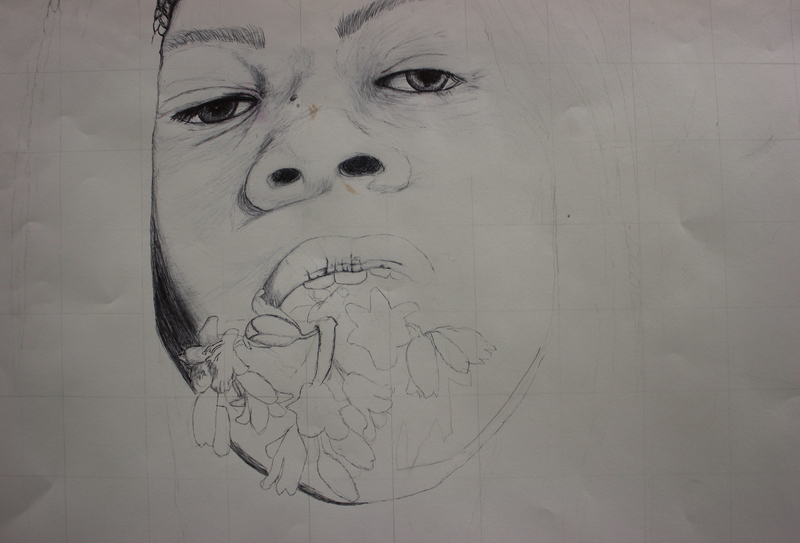 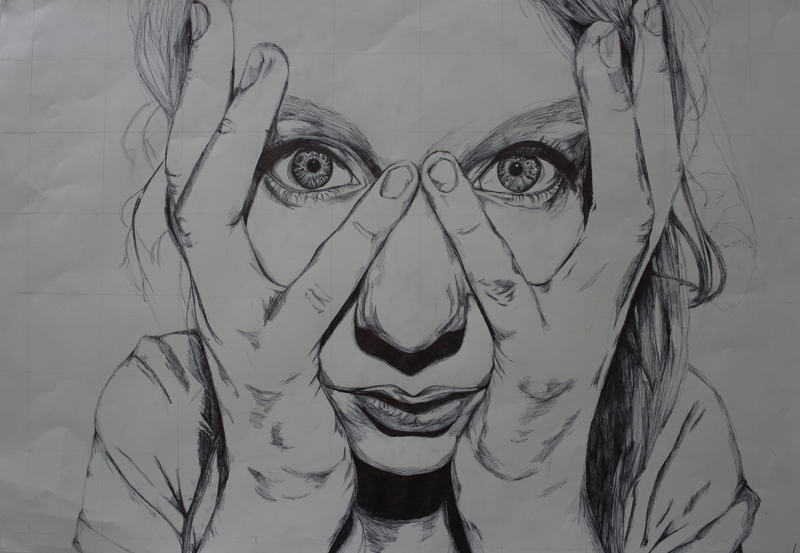 These biro drawings are a result of a 5 hour exam that Ms Prince’s GCSE Art Yr 10 students did yesterday. 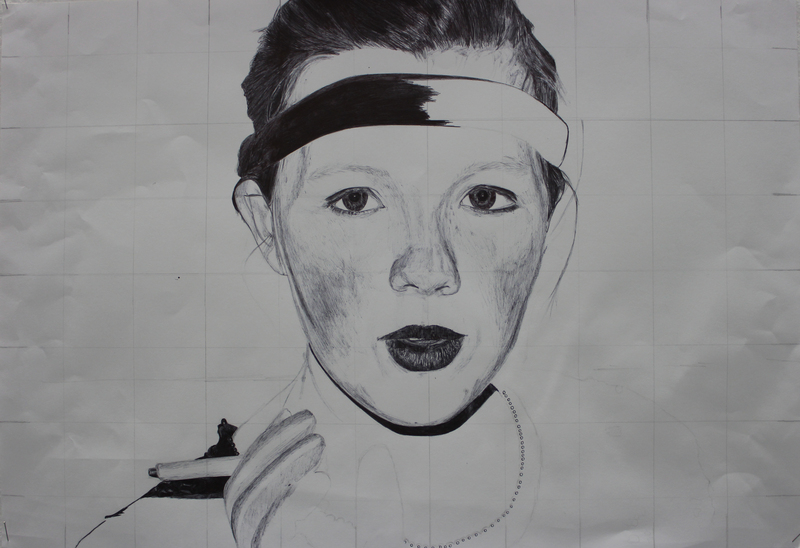 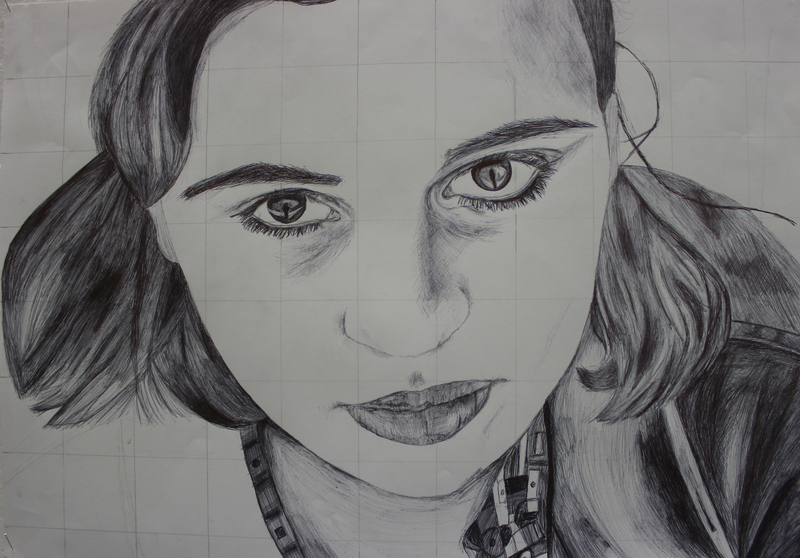 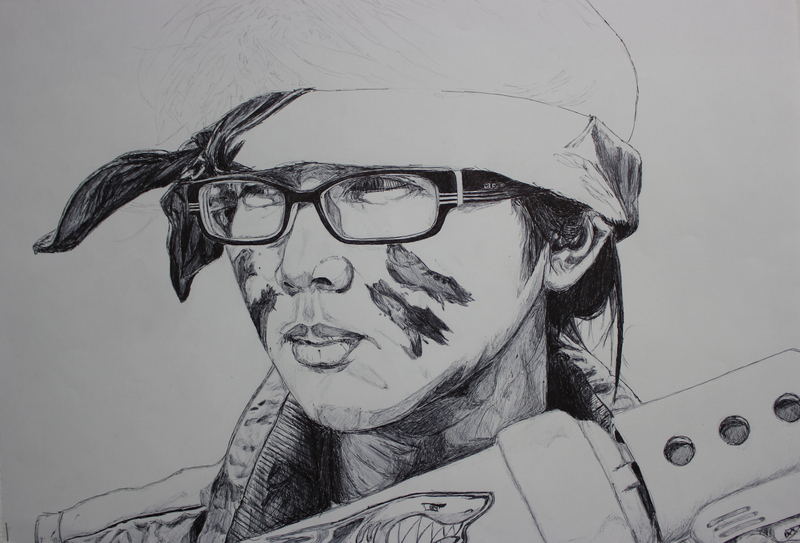 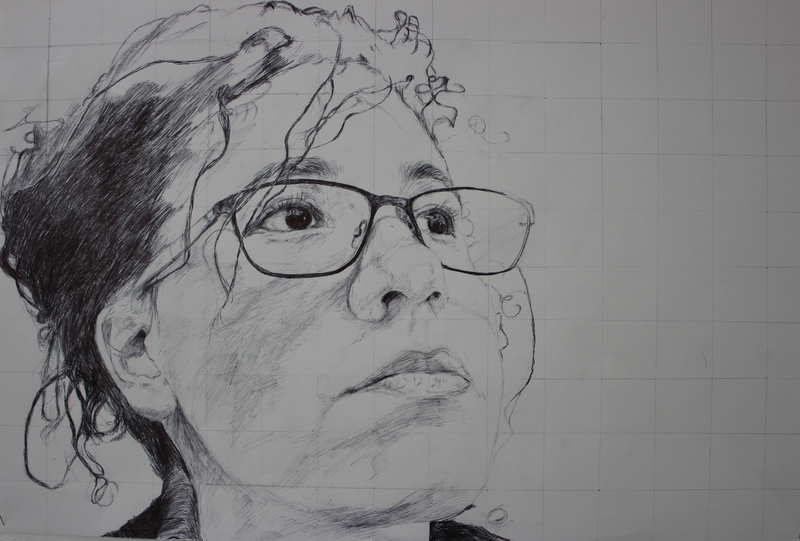 Students used photography to select and refine a composition for these self-portraits. 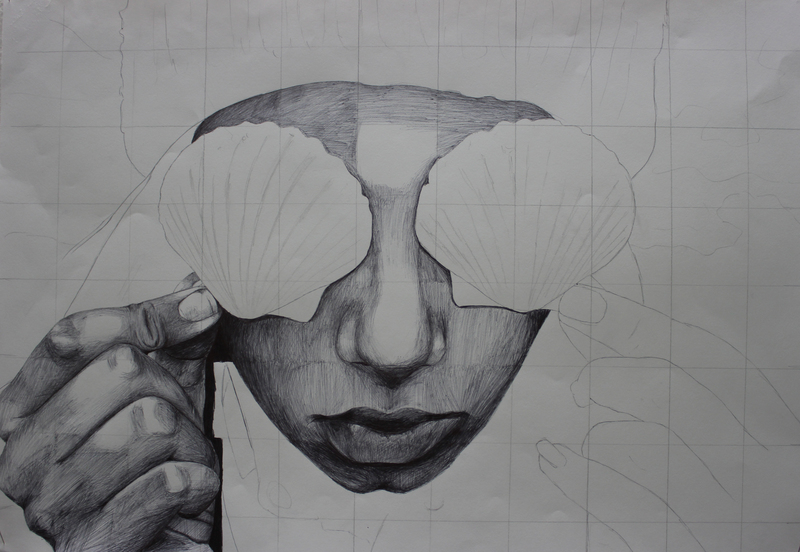 Many chose a theme or used props to suggest a narrative in the work. 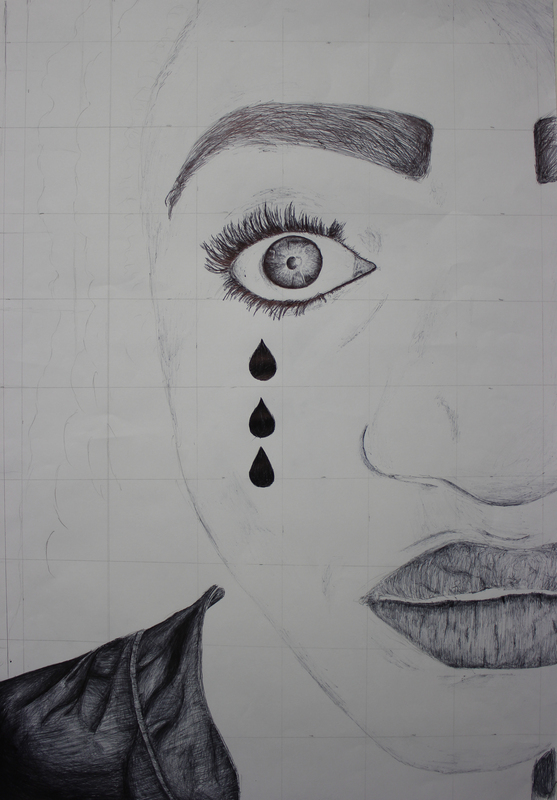 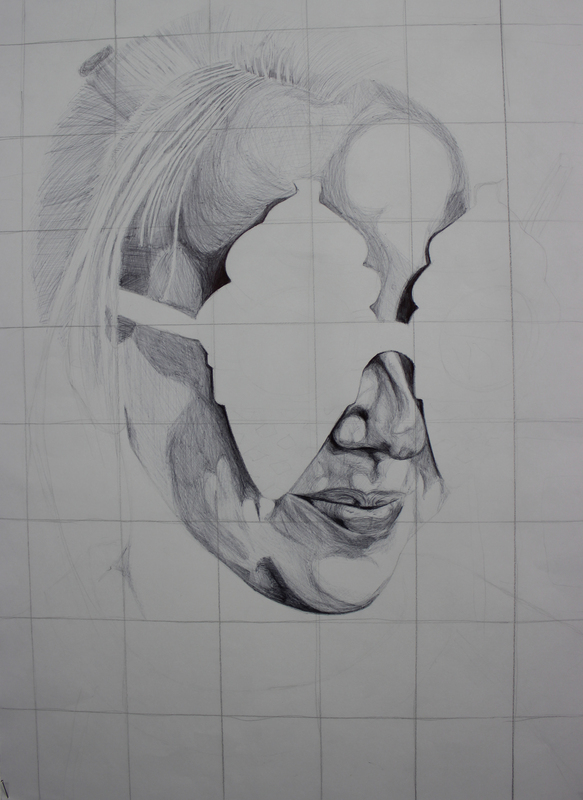 Below are the works after 5 hours and students will finish these off as part of their GCSE coursework. 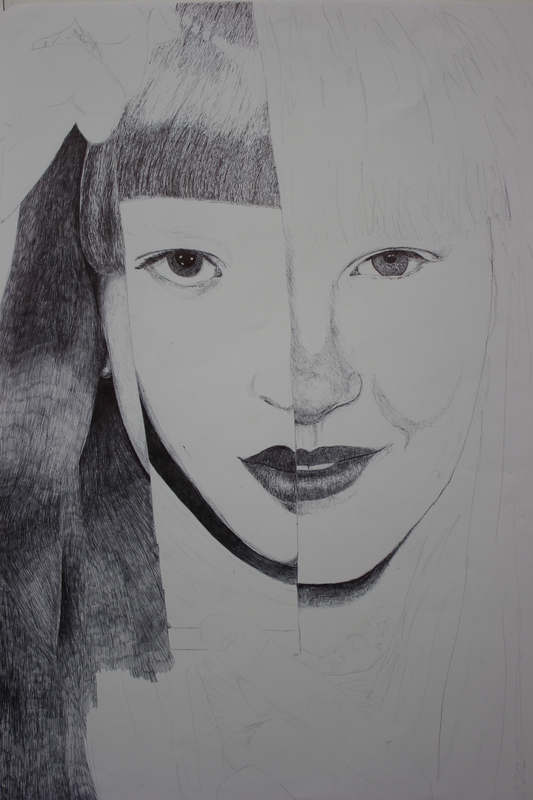 So impressed with the talent these girls have – well done girls!